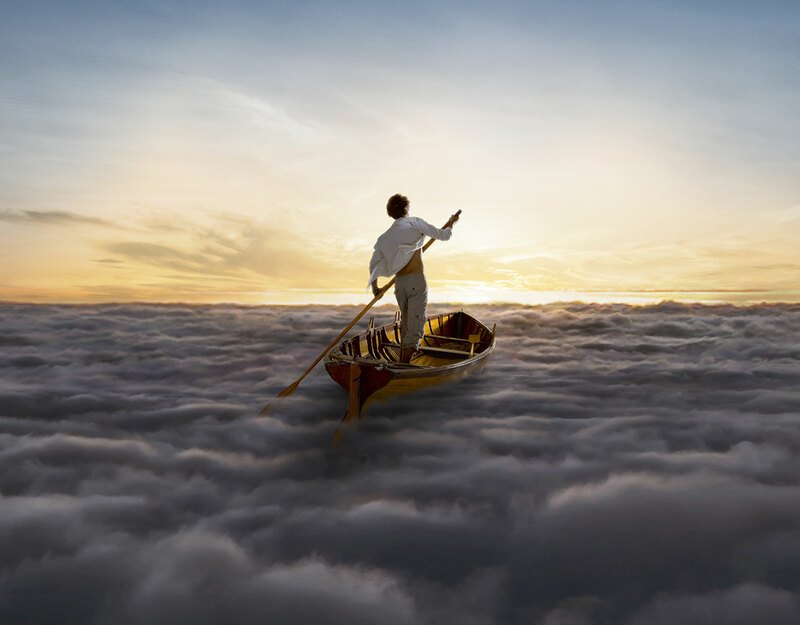 © Pink Floyd (1987) LTD. Box includes 24-page photo/credit booklet in hard cover, including previously unseen photographs from 1993 sessions at Astoria studio by Jill Furmanovsky. CD in full colour card wallet with full colour label. DVD (NTSC) or BLU-RAY in full colour card wallet with full colour label. 3 x Collectors’ full colour postcards, one of which with 3D Lenticular design. 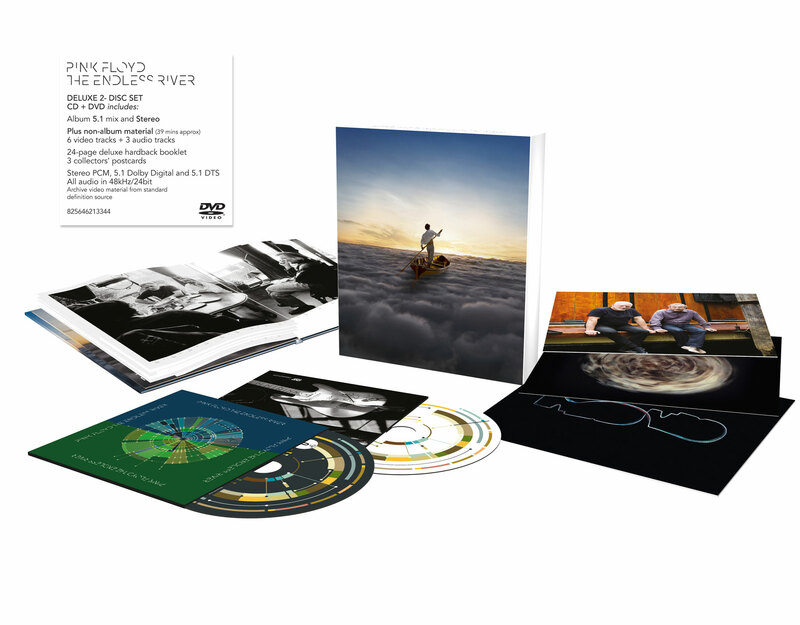 DVD contains ‘The Endless River’ album in 5.1 Surround (Dolby Digital and DTS), plus stereo version in 48kHz /24 bit. BLU-RAY contains ‘The Endless River’ album in high resolution 5.1 Surround (DTS Master Audio and PCM, 96/24), plus PCM stereo 96/24. PLUS EXTRA non-album audio-visual material (approx. 39 minutes): 6 video tracks and 3 audio tracks, unavailable elsewhere. Includes archive video material and still photographs shot at the original 1993 recording sessions: Astoria studio shots by Jill Furmanovsky and Olympic studio shots by Jeremy Young, plus 2014 footage shot at Medina studio by Gavin Elder. Creative Director: Aubrey Powell, Hipgnosis / Sleeve design by Stylorouge / Front cover concept by Ahmed Emad Eldin. Album produced by David Gilmour, Phil Manzanera, Youth, Andy Jackson.